Would you make a good paralegal? Take our career test to find out how you match with this and over 800 other careers. What is the workplace of a Paralegal like? Are there any ethical dilemmas that paralegals typically face? What is the difference between a paralegal and a law clerk? How did some paralegals answer the question, What has been your best experience as a paralegal? How can paralegals make a difference in their communities? Which books are ‘must-haves’ for paralegals? Which blogs should every paralegal professional and paralegal student read? How healthy is the market for paralegals? How did some paralegals answer the question, What has been your worst experience as a paralegal? What is some good advice for paralegal students? What is it like being a paralegal? A paralegal is someone who performs delegated legal work for which a lawyer is ultimately responsible. They perform a variety of tasks which include maintaining and organizing files, drafting documents and conducting legal research. Paralegals are found in all types of organizations, but most work for law firms, government agencies, or corporate legal departments. Paralegals help lawyers prepare for trials, hearings and corporate meetings. Depending on the size of the organization or firm, a paralegal's duties could vary, especially in a smaller firm. In addition to reviewing and organizing information, paralegals may prepare written reports that help lawyers determine how to handle their cases. If lawyers decide to file lawsuits on behalf of clients, paralegals may help draft documents and prepare the legal arguments to be filed with the court. Rather than handling a case from beginning to end, paralegals that are employed in larger organizations work mostly on a particular phase of a case. For example, a litigation paralegal might only review legal material for internal use, conduct research for lawyers, maintain reference files, and collect and organize evidence for hearings. Litigation paralegals often do not attend trials, but might draft settlement agreements or prepare trial documents. Law firms increasingly use computer software and technology in preparing for trials and for managing documents. Paralegals use computer software to prepare presentations and draft and index documents. In addition, paralegals must be up to date on the latest software used for electronic discovery and familiar with electronic database management. Electronic discovery refers to all electronic materials that are related to a trial, such as data, emails, accounting databases, documents and websites. Paralegals can assume more responsibilities by specializing in different areas. Some of these areas could be litigation, corporate law, criminal law, personal injury, employee benefits, intellectual property, bankruptcy, immigration, real estate and family law. In addition, experienced paralegals may assume supervisory responsibilities, such as delegating work to other paralegals or overseeing team projects. Are you suited to be a paralegal? Paralegals have distinct personalities. They tend to be investigative individuals, which means they’re intellectual, introspective, and inquisitive. They are curious, methodical, rational, analytical, and logical. Some of them are also conventional, meaning they’re conscientious and conservative. Does this sound like you? Take our free career test to find out if becoming a paralegal is right for you. Paralegals are found in all types of organizations, but most work for a corporation's legal department, government agencies or law firms. They usually work full time, and although most paralegals work year round, some are temporarily employed during busy times of the year. Paralegals who work for law firms may need to work overtime to meet deadlines. Occasionally, paralegals travel to gather information and do other tasks, but for the most part work in offices and law libraries. As paralegals gain experience and more knowledge about the law and the legal field, they are, not surprisingly, able to answer many common questions asked by clients. Answering those questions, however, could very easily be construed as giving legal advice. While paralegals may very well be intellectually equipped to give a response, legally they are not. Paralegals should not respond, except to inform the client that they will relay their questions to the attorney. When talking with clients on the phone or in person, if you don’t preface conversations with disclaimers such as, ‘I’m a paralegal, not a lawyer, so I can’t give legal advice,’ you may not be protected from the claim that you have inadvertently participated in unauthorized practice of law. Maintaining client confidentiality, of course, is one of the most important ethical responsibilities of the paralegal. Confidentiality is a client right. Compromising it is not only unethical; but it may affect the case, especially if the opposing side were to obtain information that would help their argument. If you share what you learn about a client with any outside person, as neutral as that person might seem, this violates client privilege. Furthermore, a violation of confidentiality can lead to dismissal, because everything that a paralegal does is supposed to be under the supervision of an attorney. If your actions make the lawyer look bad, your reputation as a paralegal will be tarnished. As noted above, everything that a paralegal does is considered to be under attorney supervision. If it is not under attorney supervision, it is not considered paralegal work. Even if a lawyer trusts you enough to let some things by, insist that they check all of your work. This ensures that they are aware that if anything goes wrong, they are the one who ‘green-lighted’ the matter, leaving you in the clear. Ever-evolving technology is presenting new and increasingly complex ethical issues for paralegals and lawyers. For instance, giving legal advice or exchanging information via social media, e-mail, or voicemail can become a thorny issue because you cannot be certain of whom you are speaking to. In addition, legal jurisdiction is being blurred because of the long arm of the internet. It is vitally important that paralegals – and others in the legal field – ensure that no conflicts of interest exist in their cases. Paralegals who find any should immediately bring them to the attention of the attorney. As a case proceeds, an opposing legal team could present conflict of interest evidence and win the case on that aspect alone. For example, this kind of violation occurs when you work for two clients with opposing interests, because you may have information that could be detrimental to one or the other. A conflict also exists even if you no longer work for one of those clients. A paralegal is under the guidance of a lawyer, and assists with many legal responsibilities. They help prepare cases and handle many of the administrative tasks involved with pursuing claims, as well as conduct research and execute orders from the lawyer in relation to a case. Paralegal training programs typically offer classes that resemble the first year or two of law school. A law clerk is a legal professional who works for a lawyer or most likely, a judge, and helps to research and determine legal options in a case. Law clerks have typically completed law school, and get their start as a law clerk. Law students compete intensely for summer law clerk positions because law firms use these temporary worker slots to fill their future attorney job openings. Being trusted with my own caseload of lower value claims; attending inquests with counsel and conferences with counsel, medical experts, and claimants. Being treated like an adult human. Being asked my opinion on legal matters. Negotiating conditions for an alcohol license at a meeting with officials and local residents, as the sole legal representative of the firm. My first-ever mediation which I had to attend alone, which resulted in the other side dropping their claim. Attending a closing meeting where I worked opposite an experienced lawyer who treated me as an equal and asked for my opinion/advice. Feeling like a valued member of a team that gained regulatory clearance for an industry-leading merger. Writing the first draft of a response letter to be sent to the other side’s lawyers in relation to a defamation claim. Feeling valued for doing the same level of work as a lawyer and moving into management of paralegals. NFPA is committed to paralegal involvement in pro bono services and the delegates have adopted pro bono related agenda topics since 1979. With the legal needs of low-income individuals increasing, paralegal involvement in pro bono activities has become even more critical. Paralegals can benefit the community, the private bar, the judiciary, and the paralegal profession by volunteering of their time, abilities, and skills as trained legal professionals. Pro bono activities also give the local paralegal associations’ greater visibility with bar associations, the judiciary, and the public. Paralegals can volunteer their time during national disasters by supporting organizations such as the National Disaster Legal Aid Resource Center. This organization serves the important role of linking communities facing unexpected circumstances to legal organizations, enabling families to normalize their lives again. It is possible for paralegals to affect the future of their profession by using their education and training to change rules or access to opportunities in the field. One notable paralegal, Charlene Sabini, had a significant influence on the field when she persuaded her local Bar Association in Oregon to extend ‘affiliated membership’ to non-lawyer support professionals, allowing them greater access to education opportunities and greater visibility in the legal community. Her efforts helped paralegals network with attorneys more easily and be recognized as valuable members of the legal arena. To further explore how paralegals include pro bono, community, and philanthropic work in their portfolio, visit https://www.probono.net/. While online information has become the go-to resource in almost all professions, there is something to be said for the value of books. The list below is comprised of publications focused on three categories of the paralegal field: the career itself; the litigation aspect of the work; and reference manuals for professional paralegal writing. This is more than just a beginner’s guide to the paralegal career. It covers more than just how to land a job; it shows how to prepare for and build a paralegal career. Taking a practical approach, it explains the dynamics of working in the legal environment, identifies the purpose and payoff of continual professional development, and offers strategies for working collaboratively with attorneys and others drawn into a case. Each chapter integrates ethics tips, checklists for success, and end-of-chapter questions. Covering a full range of career issues, it offers advice on how to land your first paralegal job, develop marketable workplace habits, and establish yourself in the paralegal profession. This book is aimed at both seasoned professionals and newcomers to the paralegal field. It presents hands-on techniques recommended by paralegal leaders. These 15 experts share the secrets that have allowed them to reach the top of their profession. They discuss how to more efficiently and productively perform paralegal duties and address how to apply technical knowledge, creativity, leadership, mentoring, and organization skills to the profession. Written by a former attorney who is now a paralegal educator, Surviving and Thriving in the Law Office is perhaps the quintessential career guide for new paralegals and paralegal students. The manuscript describes real-life law-office situations and how to handle them. It helps students understand what they need to overcome the most common obstacles, and provides invaluable insight into what law firms want from paralegal staff. Subjects addressed in detail include finding the right paralegal job, producing high-quality work, managing time efficiently, understanding billable hours, dealing with office politics, asking for a raise, and advancing in the paralegal profession. Ralph Warner’s The Independent Paralegal’s Handbook is billed as a how-to-guide for people who want to work on their own rather than as part of a law office. The book is a road map for a profession that has grown and evolved in recent decades, as consumers opt to avoid intermediaries (lawyers) and handle their own legal matters in such areas as bankruptcy, personal injury settlements, and divorce – all with the help of paralegals. This manuscript is aimed at already-trained paralegals or legal secretaries and focuses on the challenges, pitfalls, and triumphs of starting an independent paralegal business. It reminds readers that among the potential pitfalls are harassment from bar associations and lawyers who fear that their monopoly over legal information is slipping away. It reminds them, too, that paralegals cannot give legal advice because they are not licensed to practise law. The book covers which types of legal documentation an independent paralegal can safely and profitably prepare; how to inform customers that you are not a lawyer; how to minimize the chance of harassment by the bar; how to get the necessary training to work as an independent paralegal; and how much to charge for services. This book walks readers through the entire process of litigation, starting with the moment the client enters the office through trial and post-judgment. It includes examples, case scenarios, actual documents, settlements, and alternative forms of dispute resolution. Co-written by Antonin Scalia, a former U.S. Supreme Court Justice, Making Your Case: The Art of Persuading Judges is an informative guide for novice and experienced litigators alike. The manuscript addresses how to craft an argument with legal reasoning, examines the art of brief writing, and demonstrates how to succeed in an oral argument. Everyone is capable of making the winning argument. Winning is getting what we want, which also means helping ‘others’ get what they want. Learn that words are a weapon, and can be used hostilely in combat. Know that there is always a ‘biological advantage’ of delivering the TRUTH. Use fear as an ally in public speaking or in argument. Learn to convert its energy. Let emotions show and don't discourage passion. Don't be blinded by brilliance. Learn to speak with the body. The body sometimes speaks more powerfully than words. Know that the enemy is not the person with whom we are engaged in a failing argument, but the vision within ourselves. Inspired by the timeless The Elements of Style, first published by William Strunk, Jr. and E.B. White in 1959, Garner’s book explains the full range of what legal writers need to know: mechanics, word choice, structure, rhetoric; as well as the conventions of usage of headings, defined terms, quotations, and other devices. The author uses many examples from the best legal writers of yesterday and today, including Oliver Wendell Holmes, Clarence Darrow, Frank Easterbrook, and Antonin Scalia. The Elements of Legal Style is an essential resource for anyone in the legal field seeking to make their writing more precise, more persuasive, and more stylish. Since it was first published in 2002, The Redbook has established itself as the most authoritative, comprehensive, and easily usable manual of legal style. It covers punctuation, capitalization, grammar, prose style, and clarity in general. The book includes contributions from all six lawyers at LawProse Inc..
Long the gold standard for the language of law, Black’s Law Dictionary is the most widely cited law book in the world. Editor-in-Chief Bryan A. Garner, the world’s leading legal lexicographer, has compiled more than 50,000 terms in the latest edition. Every term in Black’s has been reviewed for accuracy by attorneys across the United States. The book also includes definitions of more than 1,000 law-related abbreviations and acronyms; as well as thoroughly reviewed Latin maxims, with a pronunciation guide. Individuals working in or interested in a particular field can turn to blogs for various kinds of information and a way to network with others interested in the same field. The following blogs help both paralegal professionals and aspiring paralegals to stay current on topics concerning the community. Paralegals are often responsible for keeping law firm partners and lawyers current with news and trends in the field. This includes new and emerging technology. Courtrooms are increasingly wired for technology and judges are therefore expecting fewer paper exhibits and more digital ones. It is not uncommon for judges to require lawyers to bring laptops to trials to interface with the visual system installed in the courtroom. This expedites the trial process and provides judges and juries with a generally more efficient way to view evidence. In most firms, it is the paralegal who will have to do research on the judge and the courtroom to find out whether digital displays are required. If they are, the paralegal will need to convert current hardcopy exhibits into digital ones that can be presented using the available technology. This blog focuses on the career of a paralegal. Each post is listed in one of three categories: Learn, Advance, or Win. There is also a Find a Job category, which addresses topics such as resume writing, interview techniques, using social media to find a job, and internships. 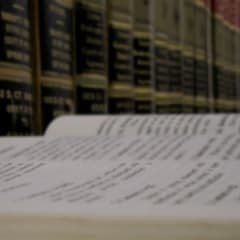 This blog hosts a discussion forum in which readers can interact with other paralegals about issues in the legal field. Topics include education, licensing, scholarships, stress management, time management, recommended books and book reviews, as well as volunteer and networking opportunities. Chere Estrin, a founder of magazines and associations within the paralegal industry, started writing The Estrin Report in 2005. Blog categories range from advertising, boutique firms, business development, and document management to bankruptcy law, the IRS, identity theft, and jury selection. The homepage tagline for The Estrin Report reads: Created for professional paralegals – not of a certain level, specialty or firm – but of a particular attitude. According the Bureau of Labor Statistics, "employment of paralegals and legal assistants is projected to grow 17 percent from 2012 to 2022, faster than the average for all occupations. This occupation attracts many applicants, and competition for jobs will be strong. Experienced, formally trained paralegals with strong computer and database management skills should have the best job prospects." Both terms are used interchangeably. The American Bar Association (ABA) does not distinguish between the paralegal vs. legal assistant positions. The ABA defines both positions as follows: "A legal assistant or paralegal is a person, qualified by education, training or work experience who is employed or retained by a lawyer, law office, corporation, governmental agency or other entity and who performs specifically delegated substantive legal work for which a lawyer is responsible." Lawyers being generally ignorant of my abilities (meagre though they may be). Being snapped at by people several years younger than me because they’ve had a bad day. Having a chair thrown in my direction due to a partner’s error, which I had to take the blame for. The way some paras are treated by lawyers (usually not partners). Offering to help an associate and being told to get them a bottle of sparkling water. Buying Kit Kats for a partner. If you are serious about becoming a paralegal, it would be wise to specialize in a healthy and growing area of the law. The types of paralegals in greatest demand appear to be those who have specialized in: litigation, corporate, real estate, intellectual property, immigration, and trust and estates. Make yourself irreplaceable by anticipating what the lawyer needs and by being extremely organized. Working as a paralegal is also a great way to discover if you'd like to be a lawyer. There is an overwhelming amount of documentation and filing that paralegals are responsible for, and being exceptionally organized will make this a lot easier. Paralegals also need to be detail-oriented and efficient. Because duties can vary greatly based on the size of the firm or the supervising attorneys, a paralegal must also be very adaptable to situations and must either enjoy the organizational aspect of the job, or be willing to dedicate themselves enough to become exceptional at it.